Today is a day I don't have a lot of motivation. Last night we were out late with friends (and by late I mean around 10:30) and today I'm off work and I have a lot of things to get done, so blogging isn't really a priority of mine. Yet, here I am. Blogging about not wanting to blog. I have been asked, by myself and numerous other people, why do I blog? Why do I enjoy putting myself out there for thousands hundreds of people to read about on the daily. Is it that I'm narcissistic? Do I enjoy being in the spotlight? Am I looking for some kind of validation? My answer: yes and no. Yes, I enjoy when people enjoy reading what I have to write. Doesn't everyone enjoy it when you get complemented on your outfit, or someone tells you that you made a delicious meal? Well that's what it is like when I blog. Every comment, tweet, email, etc, is a complement. It makes me feel good. My answer is no in that I am not trying to become famous (although I wouldn't mind it) and I am not trying to make my problems overshadow other people's or make my life seem like candy canes and unicorns, because it isn't. It is sooo far from being perfect. In fact, some days it is the opposite of perfect. Some days I look at what I've accomplished and what I've failed at and I think "how in the hell did I get to this place?" I blog because yes, sometimes I do want some validation. I want to know I'm not alone in what I'm feeling or saying or doing. I want to know that there are other people out there who are going through, or who have gone through, what I am currently going through. Sometimes I need advice, and I don't know who to ask so I come here. Sometimes I am frustrated and I need to vent, so I come here. Sometimes I need to celebrate, so I come here. I don't think there is anything wrong with needing a little bit of validation in our lives. We, as human beings, need it. No one could survive without it, at least not happily, in my opinion. Man for not feeling motivated to write, I've sure had a lot to say. We all have our specific reasons we want to blog. Maybe we started a blog because we wanted to share all of our amazing recipes and kitchen tips, or maybe it's because you are pregnant and you want to document your journey into mommyhood. Perhaps you are a workout buff and you want to teach people how to love the gym as much as you do. No matter the reason you started, I think what keeps everyone coming back, day to day, is the community. There is nothing like it. Within it you meet wonderful wonderful humans that support, love, advise, and validate you, and most times they've never even met you. To me, it doesn't get any better than that. You hit the nail on the head with this one. When anyone asks me why I blog, I just want to direct them to this! 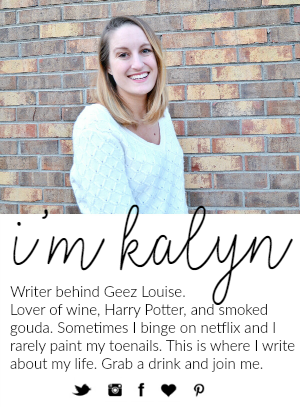 Great post Kalyn! I am with you on this because I had no motivation to write yesterday so I sat it out and decided not to write anything today. I think sometimes we need to take a day or two to let the ideas come to you and then you will get that motivation to write. For a lot of the same reasons as you! Validation an outlet and a great community. I love to write and always have and my blog is a place that I get to do that and share it. The less expectations I put on myself about blogging the more I enjoy it so I really try not to do that anymore. No pressure. Just blogging! If I don't feel like writing I don't but there are more times where I'm really excited about it and glad that I have a blog. I always come back! Enjoy your busy off day! If you didn't blog I would cry. A lot. Yes, the community is what brings me back every time. I miss getting to talk to everyone if I am gone to long. There is always something you can relate to with each blogger no matter what they blog about. 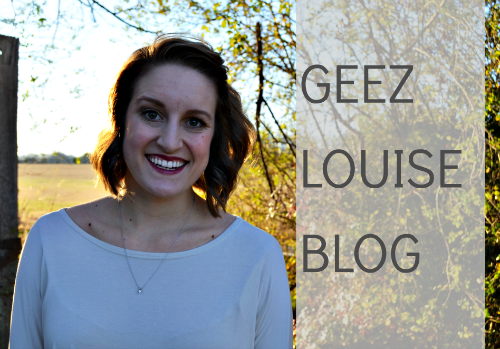 I blog for so many different reasons, and on any given day, those reasons are different. Most of the time, though, it's just because I want to. And no one else in the world has to see it, read it, reply to it, approve it, or anything else for that matter. I'm glad when they do but if someone has a problem with something on my blog, I definitely don't feel like that's my problem (which is not always something I can say in real life lol). Keep it up!! So far, I've found the blogger community to be incredibly supportive and friendly. I've heard those horror stories of the "big bloggers" getting nasty anonymous comments, but I think if that happens, it's a sign that you're at a point where people are not only identifying with you, but they're starting to recognize you and your writing as a "personality" to envy. A weird thing. we write for so many reasons, but at the end of the day we write so our voice is heard. I love that 10:30 is late for you. We would have fun going out. Early bird special all the way. I love the idea that we all want to know we are not alone.. how true! It is so nice to know that someone has been through the same problem as you & and help you out through it. I love this post! I agree completely. I love the blogging world a lot! 10.30 is late by my usual standards these days too! I agree with everything you've said here. Blogging for me is about getting to know like-minded people, getting my thoughts out of my head instead of dwelling on them, and learning a thing or two along the way.